With the starting lineup returning, the team is confident on a South Jersey Group IV championship and a run at a state championship. Lenape High School boys bowling’s goal for the 2018 season is simple. With the entire starting lineup returning after a fourth-place finish at the South Jersey Group IV tournament last year, the sky is the limit for the Indians this season. Lenape’s 2018 lineup of Devan Patel, Jayen Patel, Amar Patel, Brendan Kelly and Ryan Delozier is the exact regular lineup the team featured last season. The last time Lenape returned its entire starting lineup from the year before was in 2015, when the Indians won the first sectional championship in program history. Devan was a freshman on Lenape’s practice team when the Indians won the sectional title in 2015. He saw firsthand what it took for Lenape to climb to the top of the mountain then and believes this year’s squad has what it takes to be the best bowling team in school history. 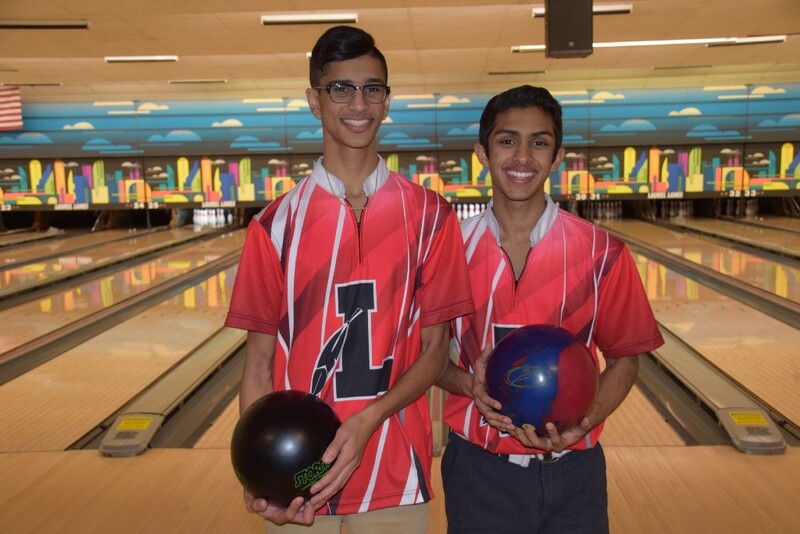 Cousins Devan and Jayen have been a force for Lenape the past two seasons, consistently scoring more than 200 pins a game. While much of Lenape’s high scores can be contributed to solid repetition, practice and skill-building, Jayen said the team’s tight chemistry is also beneficial. The biggest thing Lenape is working on early this year is consistency, something the team has struggled with in past seasons. One advantage Lenape has is its experience in tournament play. Most of the team has bowled in multiple sectional and in-season tournaments, giving them a feel for the atmosphere surrounding those events. This year’s Lenape team shares a connection to the 2015 sectional championship team. The two teams stay in touch with each other fairly regularly and actually played each other a few times in 2017. Jayen said the 2018 team beat the 2015 team the last time they bowled together, giving this year’s team confidence. The Indians entered January with a 3–2 record. Lenape won three consecutive matches over Shawnee High School, Eastern Regional High School and Cherry Hill High School East in mid-December.